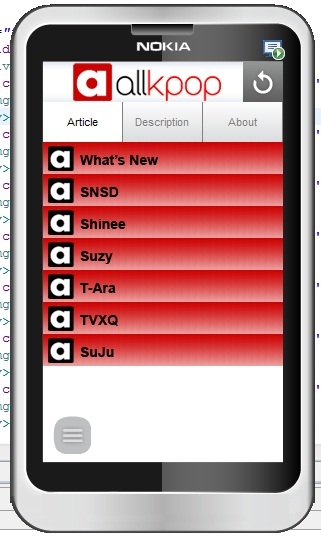 Allkpop for Nokia S40 is an application for Korean Fans. 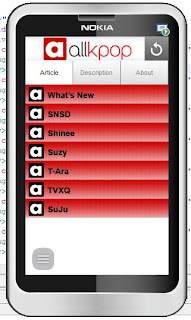 In this application you can see the latest info about SNSD, Shinee, Suzy, T-Ara, TVXQ and SuJu. Are you a Korean Lovers? Grab it!! !